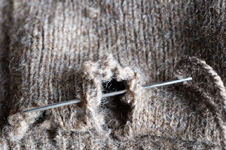 Textile pests in commercial premises can result in serious damage. In the retail clothing sector they can damage stock and be transferred to customers’ premises resulting in claims for damages. It is important that any premises where clothing is stored, cleaned or repaired, are professionally inspected and monitored to reduce the risk from these damaging insects. 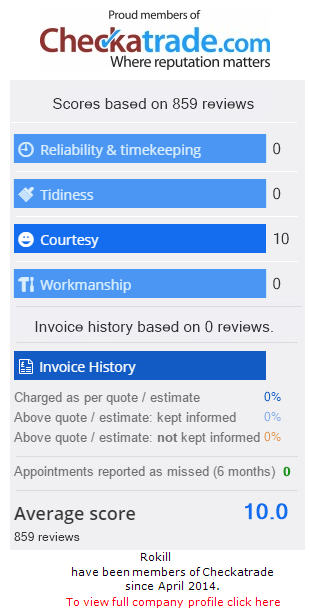 Based in Bournemouth but covering Reading, London, Bristol, Southampton and the surrounding areas, Rokill’s expert pest control technicians can visit your premises and provide preventative inspections and treatments. 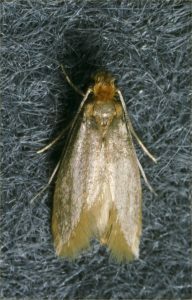 The case bearing clothes moth (Tineola pellionella) is particularly damaging to carpets and will damage large patches, stripping carpets to the backing leaving them completely bald. The larvae avoid light and prefer areas underneath furniture. They spin a silk case and camouflage it with fibres from carpets etc. With both species of moth it is only the larvae that feed and cause damage. These insects can be extremely difficult to eradicate and we always recommend multiple treatments. Carpet Beetle (Anthrenus verbasci) are found in many houses, the larvae are known as woolly bears. The larvae can cause damage to textiles containing natural fibres. The hairs on the larvae can also cause skin irritation. Adult beetles are 3-4mm long. These insects are often associated with bird nests. Preventative inspections and treatments can be carried out. Monitoring and control using natural pheromones.